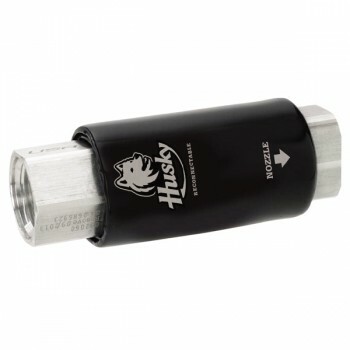 • Features a pre-loaded spring and a single turn wave to resist sudden pressure build-up in the hose causing nuisance. • Uses the same pre-loaded spring and single turn wave spring as Model 003360. • Same instant-closing dual poppet check valve design as Model 003360.